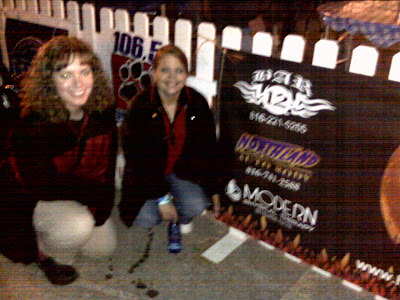 So Modern PT sponsored a local BBQ team this year! 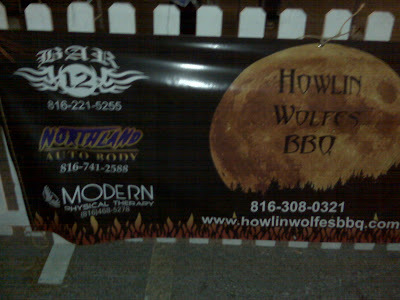 They are "Howlin Wolfe's BBQ". Last Friday night we went out to support them (or more accurately sample their food). From what everyone told me the barbecue was great! 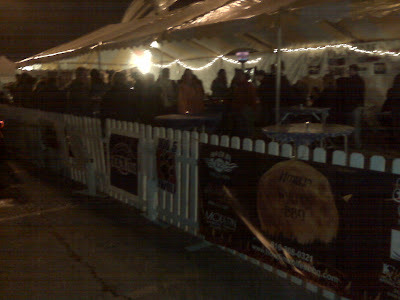 Here are some pics of their set up and our logo on their banner. The pics were taken on Tony's blackberry at night so the quality is a little less than Esteban's normal but it is enough to get the picture (literally). Happy Fall to all!